Thanksgiving was a success. Everyone is still talking about what you did with that turkey leg, which obviously, you can’t remember. But now, Christmas is just around the corner and you’ve finished decking out your home for what will be another month of festive fun. You have been organized, bought presents for all your loved ones, and patted yourself on the back for actually being ahead of the game this year. But then you realize that you’ve missed one — a crucial one at that: your Secret Santa gift. Ah, the fun gift-giving tradition where co-workers, friends, or other groups swap gifts without the recipient knowing who the gift is from. While it usually results in fun and laughter, finding the right Secret Santa gift can be quite the stressful endeavor. What if you don’t know the person whose name you’ve drawn that well? What if they don’t like the gift you choose? And what if you spend too much — or far too little? These questions make the process of selecting a Secret Santa gift a nerve-wracking experience for many. We’re here to take the stress out of Secret Santa shopping this year with some fail-proof gift ideas and tips for selecting the perfect gift for your lucky recipient. Check out the full wish list here. First and foremost, know the rules. Those in charge of organizing a Secret Santa exchange should outline some general guidelines to keep everyone on the same page, such as an acceptable price range, any off-limits items, and so on. If you know your recipient well and have a relationship with them outside of the group, avoid the temptation to purchase an extravagant gift — save that for a private gift exchange. As you’re scrambling around trying to figure out the perfect Secret Santa gift, take comfort in the fact that you’re not the only one. Instead of thinking of your gift as an object exchange, think of it as a form of communication. What does your gift say to the recipient? If you appreciate the person’s sense of humor, a silly gift might be in order. On the other hand, if your recipient is a superior at the office or someone who is always serious, they may not find the humor in your attempt at a gag gift. If your recipient is someone you don’t know that well, ask some questions. Strike up a casual conversation and ask about their interests and hobbies. If they have close friends in the group, reach out and ask for some tips and suggestions. You can always opt for a generic, one-size-fits-all Secret Santa gift, but the experience will be more fun and meaningful if you go the extra mile and take care to choose a gift you’re sure they’ll love. Feeling stuck? Check out our top five Secret Santa gift ideas below for inspiration. Fun, festive socks can make a great gift idea for a variety of personalities. If you are strapped for time and looking for an easy gift idea that most everyone will love, regardless of age, gender, interests, or hobbies, festive holiday socks are sure to fit the bill. As this is a set of 12, the lucky recipient could always share the holiday love and ensure everyone in the group has a pair of festive Christmas socks this year. On the other hand, they could take them home and share them with their family and friends for a fun Christmas socks photo op — or the perfect accessory for those ugly Christmas sweater parties. The avocado is a tasty fruit that’s found in the ingredients lists for many healthy recipes. With the ever-growing popularity of avocados, they’ve become quite costly. So, if you’ve drawn the name of an avocado lover, the Avoseedo is a perfect gift that they’re sure to love — and they’ll use it for a long time to come. All they have to do is peel the seed from an avocado, place it in the Avoseedo, and they’re on their way to growing their own avocado tree. They might even decide to display it on their desk at the office, making it a memorable conversation piece. 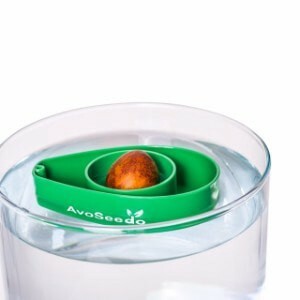 It may take a couple of weeks to start growing, but once it does, you’ll be so amazed by how cool this is that you might just need to pick up an Avoseedo for yourself. If you have a set budget of $10 or less, then you might be tempted to pick up a cheap item that is stuffed in a drawer, never to be looked at or used again. But before you resolve yourself to purchasing a bland and useless gift, consider a kitchen multi-tool. We all know how much of a pain it is to cook without the right tools, making it easier for you to think, “maybe next time,” while jumping online and ordering takeout. 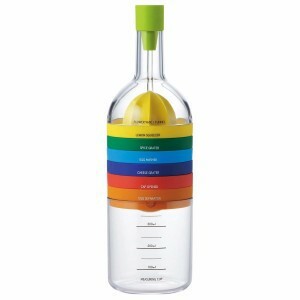 With this tool, you’ll give your recipient the inspiration to do more in the kitchen with eight essential kitchen tools packed into a single gadget. It’s a practical gift, meaning it’s less likely to end up in the trash or packed away forgotten. And who knows? You might even get invited over for dinner so you can see your gift in action. 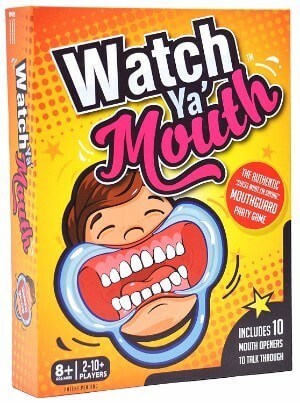 If you’re looking for a Secret Santa gift idea for the person who loves to get together with friends and family and have a good laugh, then look no further than the best-selling game, Watch Ya Mouth. You can even try to talk your recipient into opening the box and starting the fun early, getting the whole group involved during the Secret Santa gift exchange. This hysterical game requires players to put in mouthpieces that make it difficult (and incredibly awkward) to talk, and players are then required to attempt to say phrases such as, “Warm beef meatballs” and other phrases that are typically difficult to say even without the crazy mouthpiece. Needless to say, hilarity ensues. This is a game that anyone and everyone will enjoy, from young to old. Give the gift of laughter this holiday season — it’s guaranteed with this game. You know that person at the office who spends a good deal of time near the water cooler, and when asked why, they begin a lecture about the importance of staying properly hydrated? This is the perfect Secret Santa gift idea for them — as well as anyone who keeps a beverage at their desk throughout the day or the person who enjoys an active lifestyle. 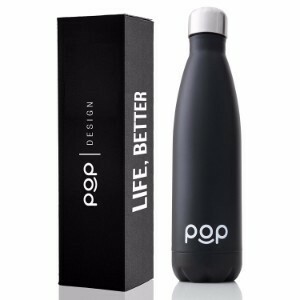 This is an insulated water bottle which will keep their cold drinks cool for up to 24 hours and their hot beverages hot for up to 12 hours, making it a perfect gift to help your recipient increase their productivity (you know, by eliminating the need for those repeated visits to the water cooler). It’s a gift they can use at work, at home, at the gym, or even on weekend day trips — the possibilities are endless, making it a gift well worth giving. Finding the perfect Secret Santa gift can be challenging, but by making sure you’re sticking to the rules, doing a bit of incognito research, and opting for a gift that suits your recipient’s taste and lifestyle, your Secret Santa gift-giving experience is sure to be a hit.